Path passes mainly through Calluna heath with bell heather (Erica cinerea), purple moor grass (Molinia caerulea), hard fern (Blechnum spicant), with cross-leaved heath (E.tetralix), bog myrtle (Myrica gale), bog asphodel (Narthecium ossifragum) and Juncus spp, as well as bryophyte assemblages in the wetter areas. 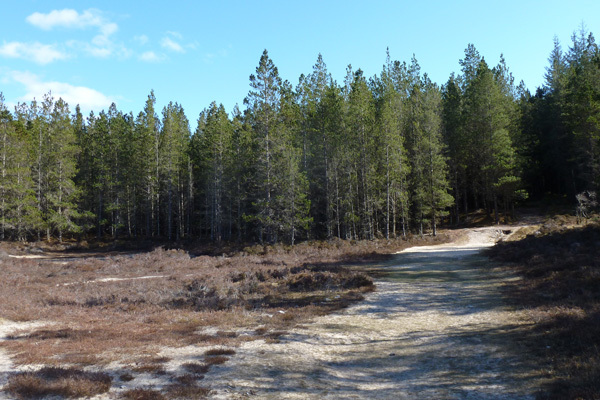 There are some lovely sections of birch woodland, with oak, rowan, alder, Scots pine and holly, as well as a short section through coniferous plantation just before reaching the Singing Sands. The deciduous trees are variously strewn with lichens and mosses and epiphytic common polypody (Polypodium vulgare). 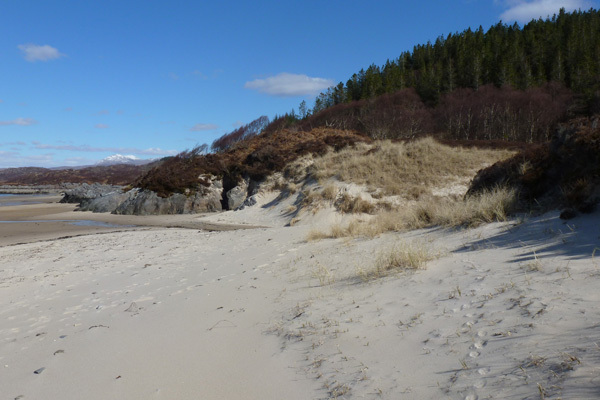 The beach is surrounded by Calluna-vulgaris, Empetrum nigrum- Carex arenaria heath. Bryophytes, seen on route include Spaghnum and Polytrichium spp, Dicranum spp, Common tamarisk moss (Thuidium tamariscinium), Glittering wood moss (Hylocomium splendens), rough stalked feather-moss (Brachythecium rutabulum), to mention but a few. 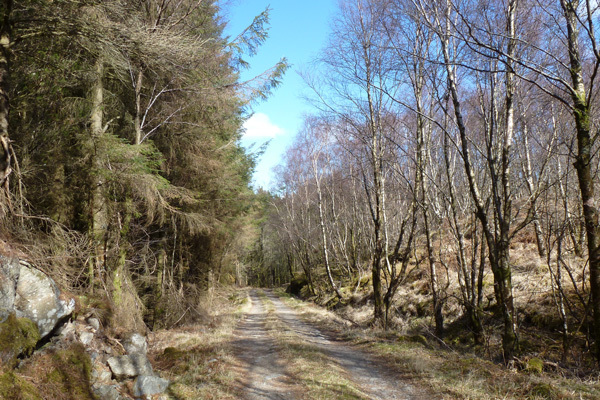 Look out for the tracks and signs of pine marten and wild cat. 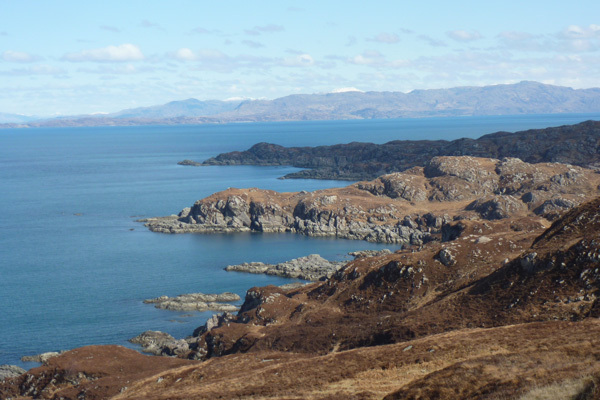 Look for divers in the lochans, and scan the skyline for golden and white-tailed eagles. Listen out for a range of woodland birds and conifer specialists. The bedrock geology consists of sections of quartz-microgabbro (igneous rock from the Palaeogene Period, between 24 to 56 million years ago), and older granofelsic psammite (metamorphic rock formed between 545 to 1000 million years ago). 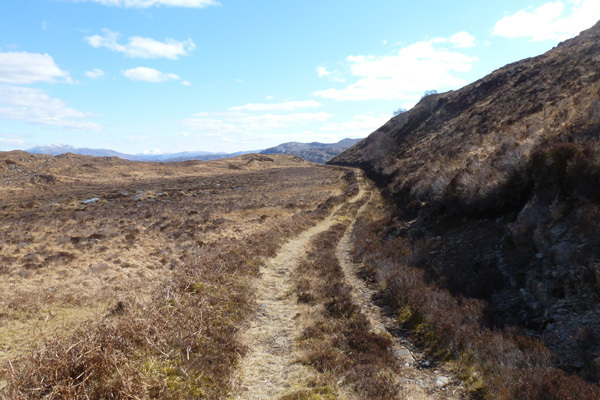 The path is generally distinct, apart from in a few places, but there are some very boggy sections on route and some small stream crossings. This walk is best done after a period of dry weather. 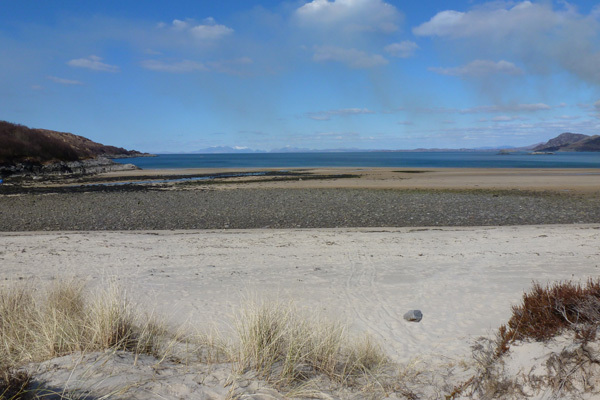 A fabulous, scenic walk to a lovely isolated beach who sands whistle in the wind (a feature of the grain size, silica content and humidity of the sand grains). Park in the car parking area at end of the road and head up the track towards Ockle Holiday Cottages. Follow the track through a gate by a house and veer right on track passing by the bungalow (Tigh Dochie) ignoring the track to the left. Pass through a metal gate signposted with a yellow arrow, and head uphill on a well defined track through heath and rough grassland. 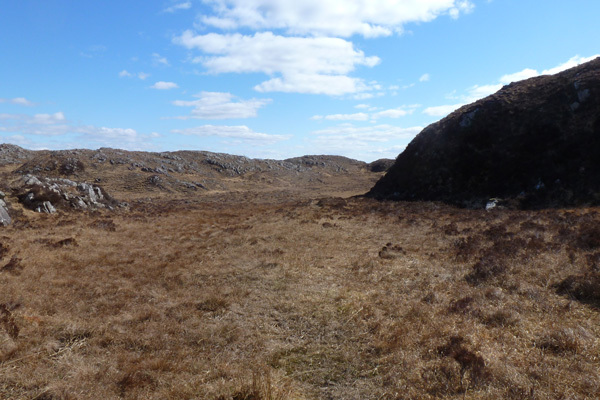 Pass by a lochan on the right as path narrows and then head through another metal gate and continue to climb, eventually passing by a stone cairn. 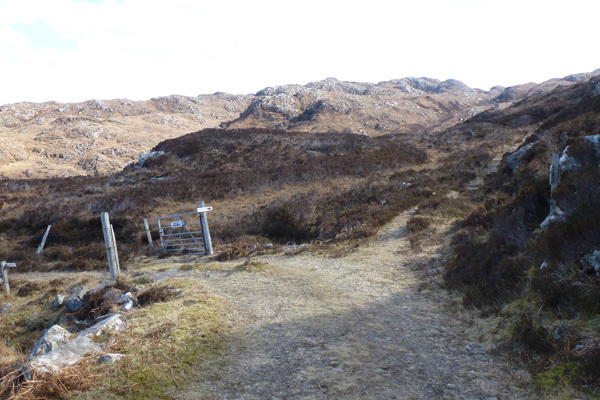 At another gate (signposted private), take path on the right traversing the hillside, and signposted Gortenfern. 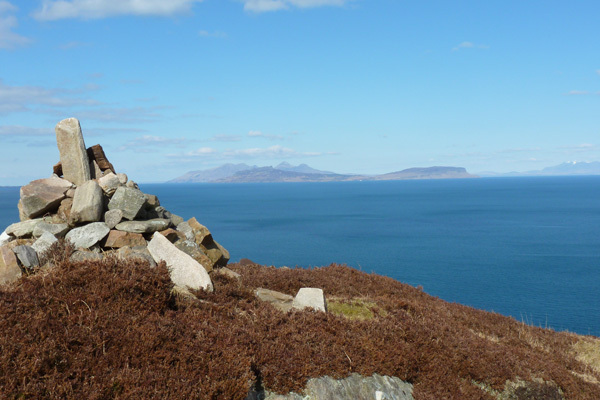 Pass through a craggy section and then by a second cairn. 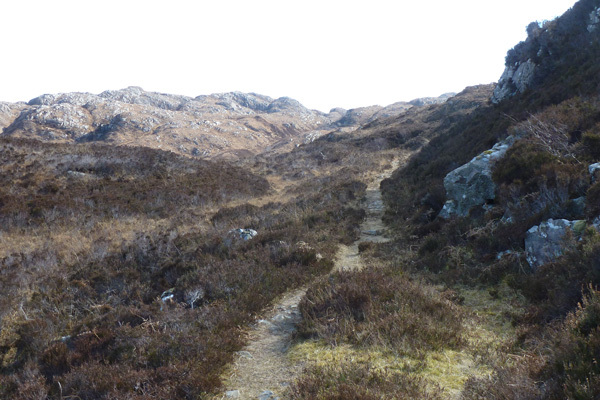 The route now passes through a valley between the low mountains that can be very boggy. The path is indistinct in places, but head towards the far end of the valley where the path resumes. 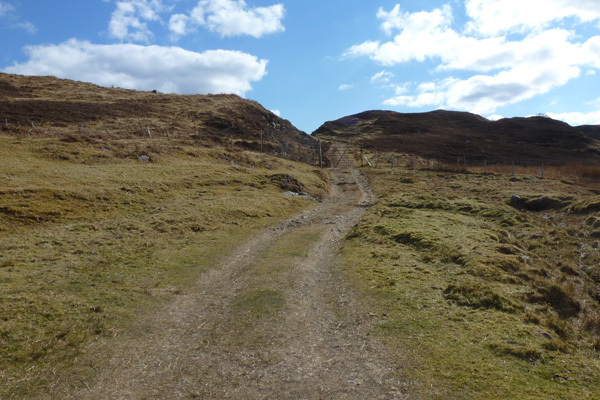 Pick up the path and continue onwards traversing the hillside where the path starts to descend slightly. Where the path reaches a track, turn right and follow the descending grassy track towards another lochan (Lochan na Glaice). 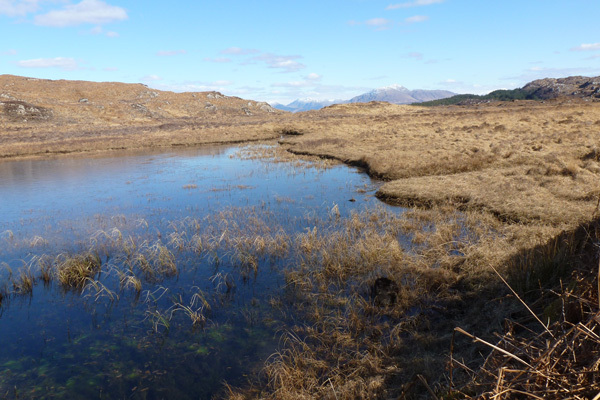 Once passed the lochan, the Singing Sands come into view. The track descends through some lovely sections of birch woodland, with oak, rowan and holly. Ignore the track left and continue descending. 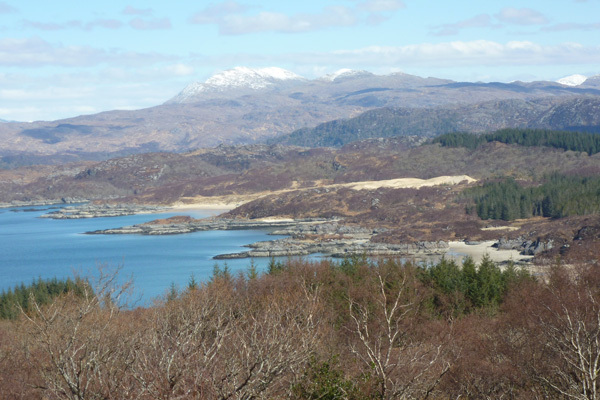 Cross a wooden bridge and pass through a metal gate, signposted Singing Sands and Ardnamurchan Gorteneorn. The track now passes by the edge of a spruce plantation (mainly Sitka spruce), with a deciduous woodland fringe on the right. Eventually you will come across a small wooden signpost to the beach by a sandy path heading through the plantation. Take this path on the left and descend towards the beach through a short stretch of coniferous woodland and then onto to heath before reaching the golden sands at Camus an Lighe. 11. Spend time exploring and enjoying the beach before returning by the same route. 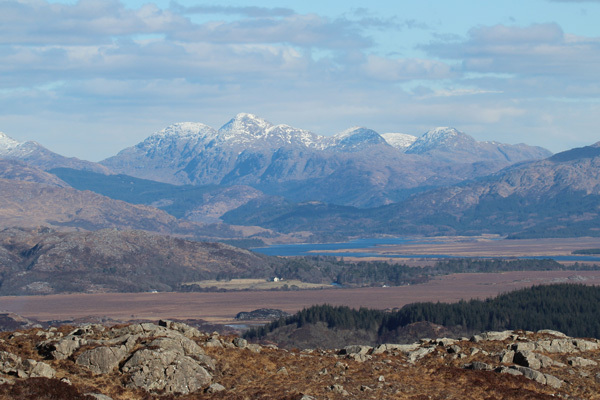 If you wish you can extend the walk to Arivegaig skirting around the lovely Kentra Bay. 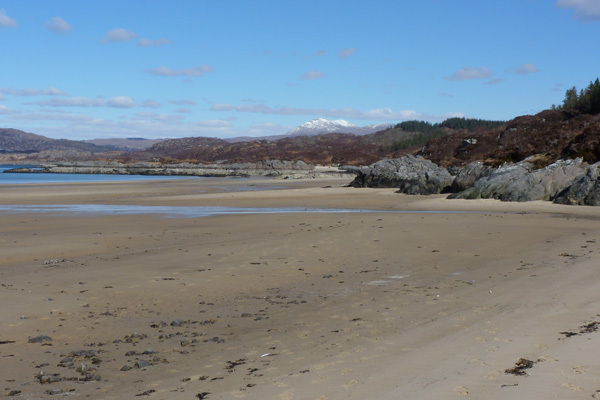 Please see walk to Singing Sands from Arivegaig for details.